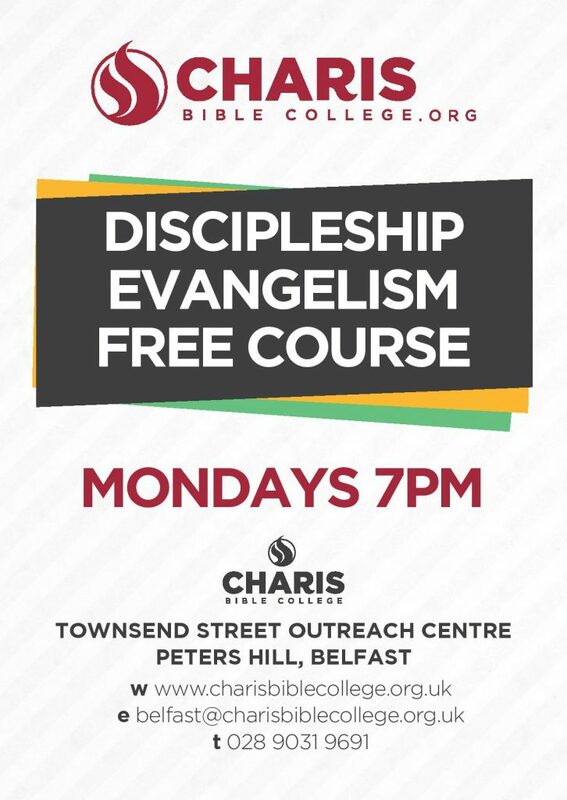 Come join us for a free course – Discipleship Evangelism. We run on Monday nights during term time, from 7pm-8:30pm. Join Charis staff and leadership students as we journey through the course, covering topics such as Salvation by Grace, Baptism in the Holy Spirit and The Integrity of God’s Word, taught in simple lesson formats with class interaction throughout.